Having to ramp up your target production because product demand significantly exceeds initial forecasts is one of those business headaches it can be nice to have. It’s the situation Isaac Beach and Simon White of Otane-based Kanapu Hemp Foods found themselves in this year. Kanapu has been growing hemp on Otane’s Ludlow Estate, Simon’s family’s farm, and the cold-pressed hemp seed oil they’ve been producing has been in hot demand. Targeting the premium end of the hemp food market – both locally and internationally – the company is also close to launching a packaged hemp flakes product. “Following our marketing launch earlier this year, and as a consequence of the response from around the country, we’ve had to adjust some of our forecasting around demand for functional hemp foods in New Zealand,” says Isaac. 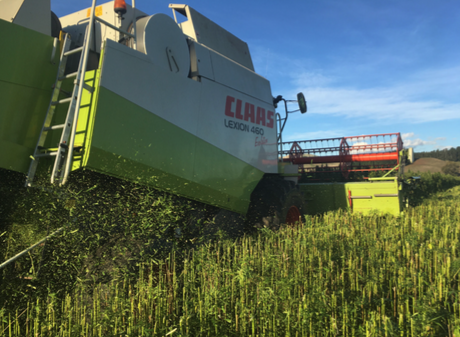 The new production target is about 250 hectares of hemp, which the pair admit could be challenging to achieve. It will involve extending production beyond Ludlow Estate, using contract growers across Hawke’s Bay – potentially from Wairoa down to Dannevirke. The hemp varieties being harvested by Kanapu have zero tetrahydrocannabinol (THC), so are completely non-psychoactive. They contain about four percent gamma linolenic acid (GLA), a bioactive fatty acid known for its anti-inflammatory qualities, and two to three percent cannabidiol (CBD), which has been shown to be therapeutically useful in treating pain and epilepsy. Isaac says the company is looking to commence growing trials this season with high CBD hemp varieties, containing 8.5–13 percent CBD. Hemp production is regulated, meaning Kanapu needs to have its licenses amended in order to achieve its growth plans. “We’re working with the Ministry of Health to first enable the increase in cultivation area within a short time frame. That process will impact on whether we can meet the target or not,” says Isaac. At around 700 hectares, Ludlow Estate is predominantly a mixed-cropping farm. Simon says he became excited about hemp’s potential following an initial meeting with Isaac. Simon says a key aspect of the business is that Kanapu is working on a model under which the company controls all aspects of the product, from growing the hemp right through to sale of the product. 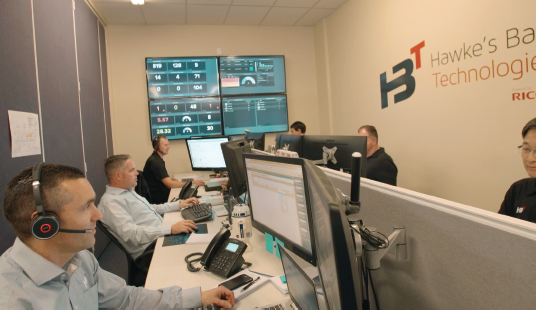 “We’re involved in the process the whole way through, which is a key part of making it a successful premium product. That way you’re guaranteeing quality of the product, which is really satisfying,” he says. Isaac says Kanapu was strongly focused on developing the hemp food industry as a positive economic driver within the Hawke’s Bay region and the Ngati Kahungunu rohe. right through to manufacturing, et cetera,” he says. 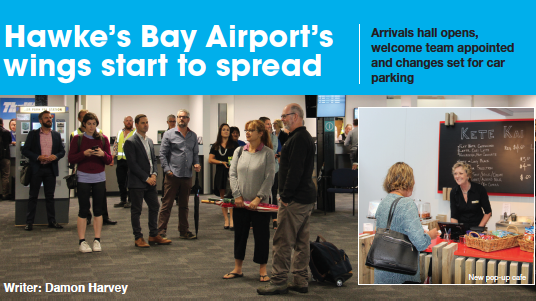 “From a manufacturing point of view, we’re already positioning ourselves to support that development, and there are some key steps that need to take place between now and this summer’s harvest to enable us to really get a good foot in the door from a national perspective – and even with a view to going international – in terms of establishing Hawkes’ Bay’s potential within this industry. 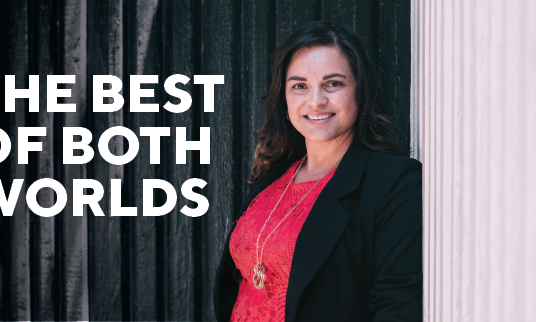 “We’re almost unashamedly biased to supporting farming interests in Hawke’s Bay, from Wairoa to Dannevirke, and even further south into the Wairarapa region. 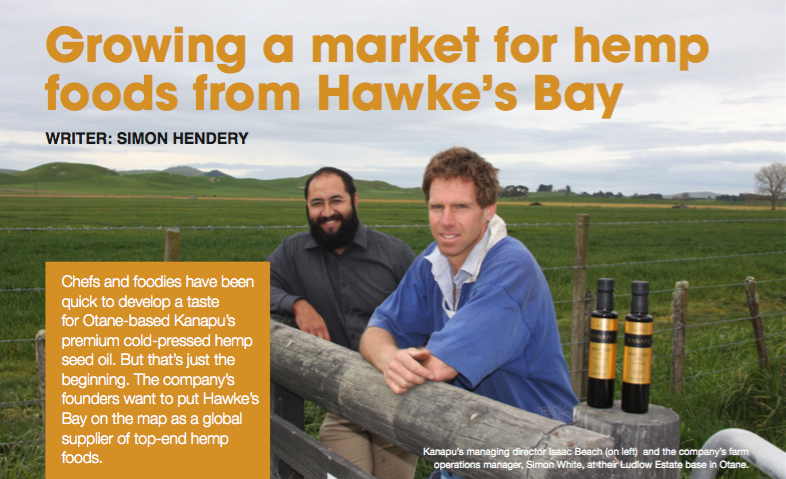 As well as doing what it can to position Hawke’s Bay to take advantage of hemp’s business potential, Kanapu is also helping with efforts to strengthen the industry at a national level. The company has been at the forefront of the formation of a coalition of businesses involved in the hemp industry. That entity is called MIHI (Movers in Hemp Innovation) and is focused on identifying opportunities within the sector. “We’ve identified there is a significant need for government and private sector resources to be dedicated to establishing a sound understanding of the market trends offshore so that we understand as a country where our unique point of difference can be best had,” says Isaac. Isaac says the first meeting of MIHI founders was held at Ludlow Estate earlier this year and about 30 companies have now become involved in the grouping.